A good day starts with a good breakfast. 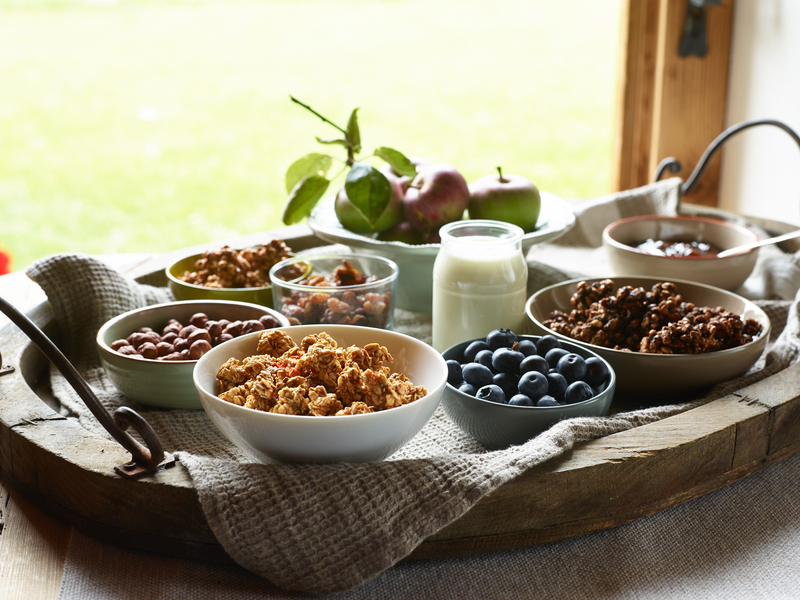 But VERIVAL takes its responsibility beyond the breakfast bowl by making sure that both the cultivation process and the careful selection of premium ingredients from organic farming is spot on. That is why we try to help ancient grains like einkorn, emmer and spelt, which we use in our Heritage Grains Mueslis, to gather an audience. With our recultivation project, we strive to increase the variety of heritage grains in our product range. This ensures the preservation of biodiversity and helps us offer even healthier and tastier Heritage Grain Products in the future. 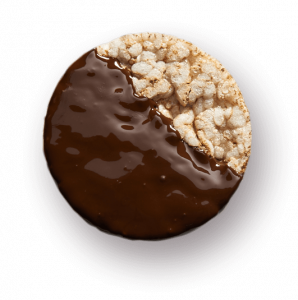 Like, for instance, our Heritage Grains Mueslis with our VERIVAL Wheat, an ancient grain from our very own contract farming. On top of that, we chose our business partners with particular care so as to promote further growth of organic farming in Europe and around the globe. 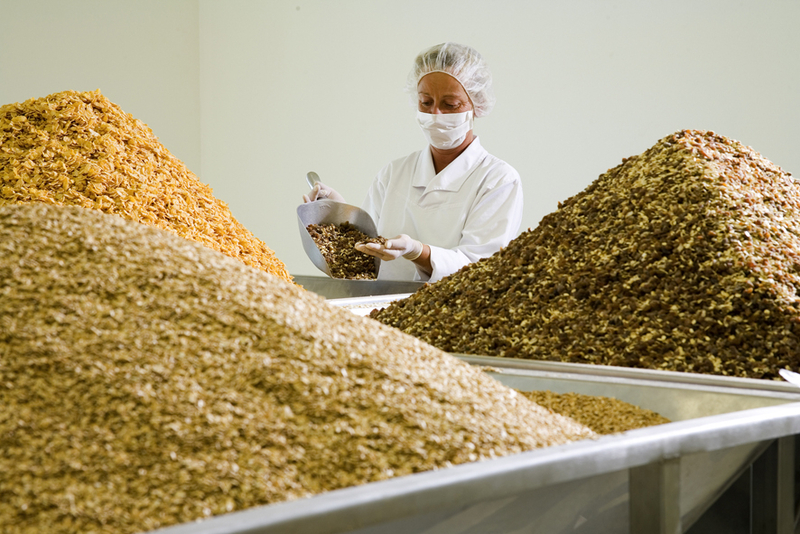 Both high quality ingredients and advanced processing technologies are of great importance to us. Our crew in the Tyrolean Alps works by hand throughout the entire production process including the areas of quality management, mixing of our muesli variations and packaging. Only then can we guarantee for the unique and handcrafted organic products that we so proudly stand for. 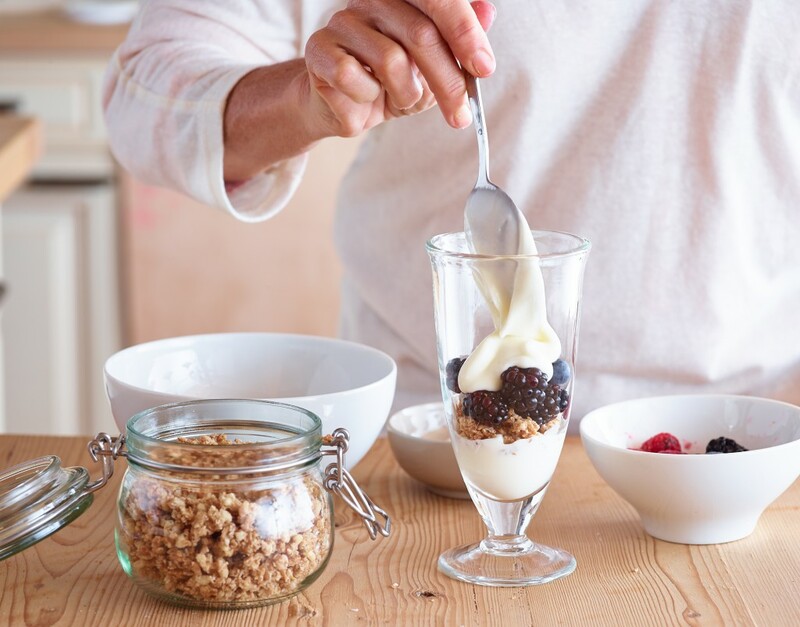 Based on premium quality ingredients, we aim to develop nutritionally balanced recipes which not only taste great but are also beneficial to your health. By offering our cereals at a fair price and in your favourite stores near you, we try to help you make the best of every single day. The VERIVAL Tiroler Biomanufakturs very own organic cereal brand for kids called Yanick & Fee caters to the needs of our little breakfast friends and our broad range of VERIVAL Pronurel products, such as organic snacks, cereals, seeds, condiments, sweeteners as well as convenience products makes putting organic food on the table easy. At the same time, we are striving to connect organic farmers and breakfast lovers like you. A supply chain can stay fair and transparent only as long as it is of benefit to all parties involved  an issue to which we are fully committed. Much derided from the start, our hard work and unique concept have resulted in a broad range of organic products in a rather short amount of time. What organic pioneer Engelbert Perlinger started with his home-produced dry foods in Itter, Tyrol, has turned into a leading Austrian Organic Brand in a matter of just a few years. Since the enormous echo of the organic food boom around the turn of the century, we strive to make our products even more available to the European market. As a result we chose a new look  one that reflects on our long-held corporate values. Based on the Latin VERItas, meaning truth, authenticity and VALore, meaning value, importance, the new brand VERIVAL was born. The careful storage and processing of our precious organic raw materials is one of our top priorities. To meet our own high standards we are proud to have built one of Europes most modern production facilities for organic food products. Specializing in the production of high-quality breakfast products and kick off for the VERIVAL Heritage Grain Cultivation Project in the form of contract cultivation. VERIVAL is growing: toasted Mueslis and Porridges are the newest additions to our selected product range. A Muesli can only be as good as every single ingredient that it consists of. To make sure that only the best of them make it into our products, we perform continuous quality checks on all incoming goods in addition to tests by external laboratories. From certified organic cultivation to timely harvesting, delivery, careful processing up to high-quality packaging, storage and distribution: each step in the production chain for premium quality VERIVAL organic foods is documented, transparent and fully traceable. We stand for pure, natural taste and all-organic quality. That is what we and our certified Organic Quality Labels guarantee. 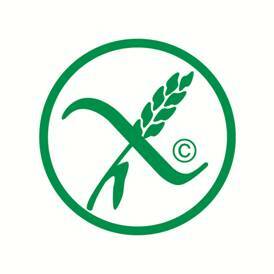 All of our VERIVAL organic products carry both the international and the German organic quality labels. Download our current certificate here. Recommended by the Austrian Society for Celiac Disease. With regard to product management, our own definition of quality exceeds the requirements specified by various quality labels. For this reason we decided to introduce our own VERIVAL Promise. The aim of Our Promise is to raise customer awareness of other nutritional and process-related issues, so as to further promote organic foods. We strongly believe that developing, producing and marketing certified organic foods requires an equally careful, considered approach to the environment, energy and natural resources. 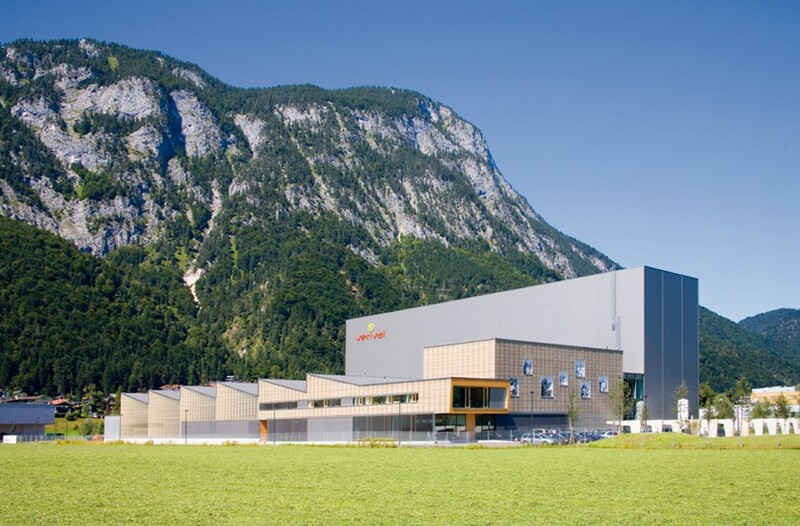 Since May 2008 VERIVAL BIOs premium quality products have been manufactured on our new premises in Langkampfen, Tyrol. 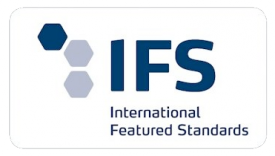 Comprising 32,000 m², it is one of the most modern facilities of its kind in Europe: a sophisticated pick-by-voice warehouse management system, recent machinery and upgraded equipment set us apart from our competitors, all the while achieving a healthy balance between nature, people and technology. In the process of constructing our new premises special care was taken to ensure that the various single units on the site are built so as to keep the energy consumption required for lighting, refrigeration and heating to a minimum. We also installed an energy recovery unit, which lowers our primary energy consumption and thus reduces harmful substance emissions.